Has your office aircon had its winter flu shot yet? There are a number of questions that employees should be asking themselves if they are often exposed to air conditioning at work. Alongside, these questions, we should know our human rights. According to WHO (World Health Organisation) all people have a fundamental right to breathe clean air! That means that whether you work in an office, restaurant, bakery, supermarket etc you deserve to breath clean, healthy, uncontaminated air. Has a professional looked at your office aircon lately? Air conditioning units should be booked in for a professional service at least once a year. For bigger office blocks, this could be 2-3 times each year. 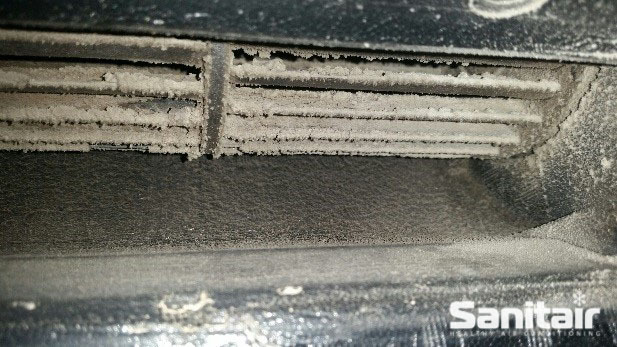 The reason aircons need to be cleaned so frequently is due to contaminates that easily enter AC units. With a range of staff members and customers entering the office while potentially carrying illnesses, pet dander amongst many other scary pollutants, this could contaminate the unit and ultimately impact the air you breath in the office. Are you in contact with AC air pollution? Did you know… AC units that are old and haven’t been properly maintained have been shown as factors in many health conditions, including respiratory conditions and the spread of certain diseases. How can you protect yourself against AC air pollution? Check the manufacturer’s instructions for cleaning or changing your unit’s air filters. Open the windows as much as you can. 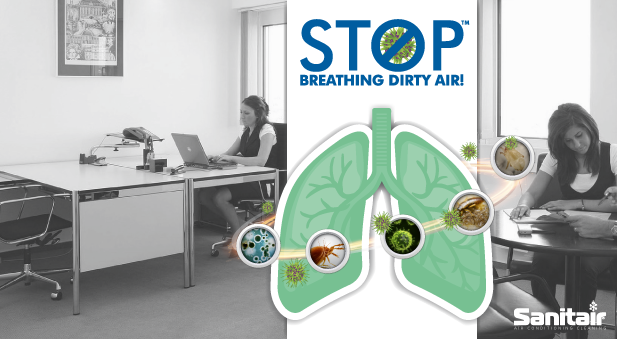 Allow fresh air to circulate in your office and flush out pollutants. Have a professional AC cleaning company do annual check-ups and clean your office aircon. Ensure the last person to leave the office at night turns off the system. Air Conditioners are usually perceived to be very expensive to run. With the introduction of inverter air conditioners this is no longer the case. In most cases your air conditioner will be the most energy efficient way to heat or cool your home. It is much more cost effective than gas or electric heaters. What STAR rating is your air conditioner, find out how much energy your model uses. The stars are rated out of 5, the more stars the more energy efficient your air conditioning model. Warming your home with a reverse cycle air conditioner is as easy as switching the mode from cool to warm. Why not take advantage of this fantastically convenient appliance to heat your home this winter? An inverter air conditioner is an economical choice for heating your home. The hourly cost averaging 33c – 40c, which is dramatically more cost effective than other methods. Set your temperature to 18°C – 20°C, this is the most cost effective temperature range for your air conditioner during winter. Each degree higher can increase your air conditioners running costs by 10%. Want to find out more on how a Sanitair HVAC hygienist can save you money on energy costs Freecall 1800 130 168. What causes smelly air conditioning? “There’s a really bad smell coming from my air conditioner, what is it from?” This is a question we hear from our customers on a regular basis. Smelly air conditioning units can be caused by mould and mildew that accumulate from condensation on the air conditioner coils, or a clogged drain pan, or a leak in the system. Animals such as rodents, bugs, spiders and geckos also tend to creep into the unit and eventually die, giving off a ‘foul’ smell. Contaminated air conditioning units can become a breeding ground for mould, mildew, and other sources of biological contaminants. Circulating these contaminants through the home or office can result in various symptoms affecting your family, friends, staff and customers. To check if you have mould growing in your air conditioner you will need to examine your unit/ducts. An accurate and thorough examination can be difficult and this is why it’s ideal for you to have a qualified Technician inspect your air conditioning unit to examine areas that you can’t using special equipment designed for the job. If you have a smelly air conditioning unit, then it’s time to find and clear the source of the bad odour. Contact Sanitair on 1800 130 168.